This is Cindy. 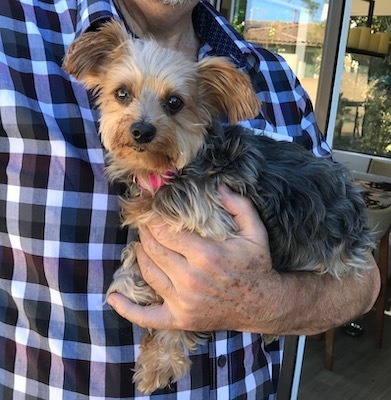 She is a 7 year old Yorkie. She is housetrained, walks well on a leash, and is very friendly. She likes to be with other dogs. She loves to be held and will be best in a quiet adult home. Cindy is looking for a loving home.